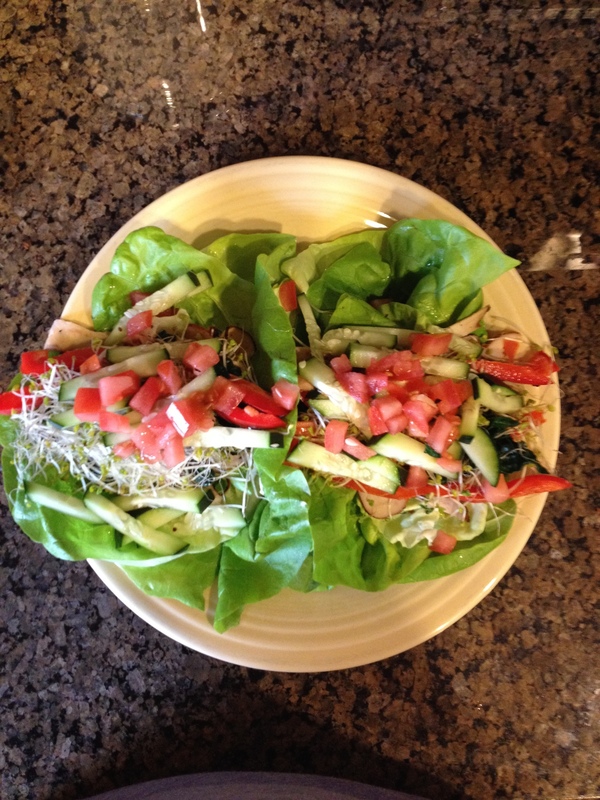 Jamie Van Cott, our nutrition specialist, shares this delicious lettuce cup lunch creation. Enjoy! 4 pieces of butter lettuce, a spread of choice ( I use Lemonaise Light by, The Ojai Cook), sliced turkey, sliced swiss cheese, blanched & sliced lacinato kale, broccoli sprouts, sliced red bell pepper,cucumber and diced tomatoes.